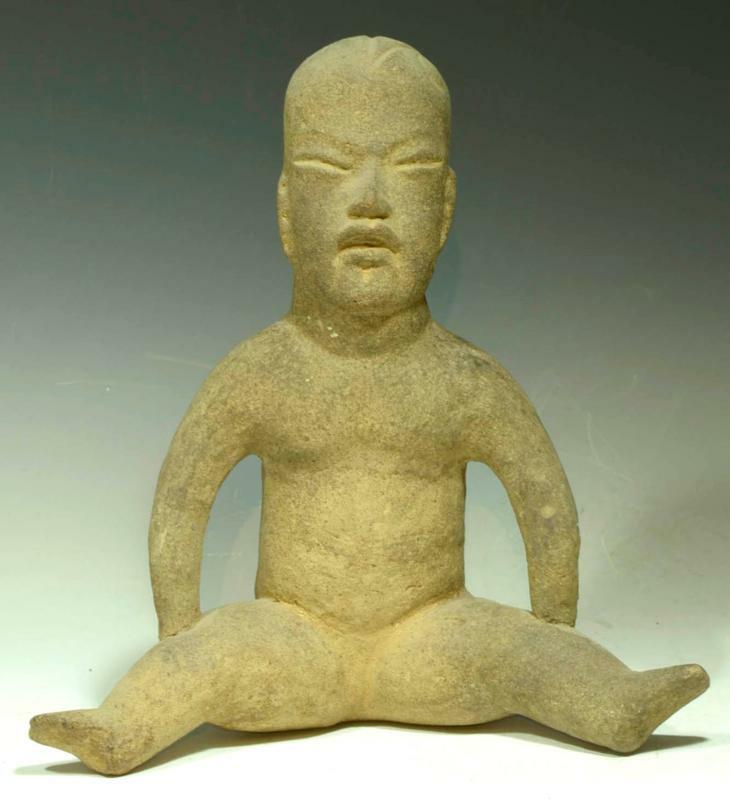 A hollow molded infant figure of naturalistic form seated with head slightly upturned with hand on hips in gesture as is the classic iconography. Overall tan slip painted gray pottery. Leg repaired, head reattached, glaze wear, else fine example. Size 12-1/4 inches H.
See 'Little People of the Earth; Ceramic Figures From Anicent America', Denver Art Museum, show catalog for simliar examples. TL test + (Thermoluminescence test positive) included.